John Morris Scientific is pleased to introduce Spectrum Technologies’ Irrigation Station. The WatchDog 3680SM is a 2-Sensor irrigation management system which allows you to monitor, compare and evaluate soil moisture from up to three depths with a single WatchDog data logger. 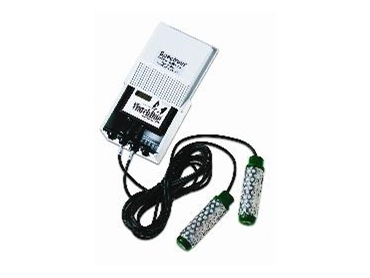 The Watchdog 200 data logger provides the two sensor channels with a capacity of 7,000 measurements (3,500 per channel using both channels). The Irrigation Station uses proven Watermark Soil Moisture Sensors to provide moisture tension measurements from the root zone of a crop or turf. The required SpecWare software allows the user to change external sensors to monitor different parameters as his/her needs change.